Recently some of the Xperia Z3+ (Globle version of Xperia Z4 exclusive to japan) users had reported about the averheating problem on the device, and Sony Mobile confirmed a fix via a Software Update. now according to the new user reports, Xperia Z3+ gets very hot when using the camera for longer periods of time while playing heavy games. Because of the heat the camera app automatically closes with a pop up massage that the device needs to cool. Camera App is closes only in specifically in a few intensive modes. Androidpit's Kris Carlon has discovered that the Xperia Z3+ camera app crashes while using augmented reality mode or 4K mode within few seconds. "Even if you've just been playing a hi-res game or doing a benchmark, if you go to the camera app an overheating warning will pop up after a few seconds and the camera app will crash a few seconds later," Carlon notes. The popup reads, "Note: The device temperature is rising. If it continues to rise, the app will close automatically." Just before killing the app, another message shows up, saying, "Note: Camera will turn off temporarily to cool down." Androidpit's Kris Carlon has recorded the screen of then crash. his camera app crashed from up to three seconds to a minute after showing a notification popup for heating issue. After carlon contacting sony, they said they are working on a software fix soon. Earlier Sony Netherlands said they have recognized the problem & Sony Japan is working on a firmware patch for the Xperia Z3+. 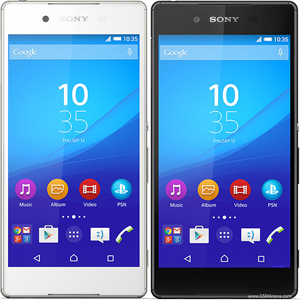 As a temporary fix sony recommended to the users to turn off the device multiple times during a day. Sony is not the only handset maker that has faced problems with Qualcomm's Snapdragon 810 chipset. LG was faced issues with G Flex 2, Also HTC faced the same overheating problem in the HTC One M9. But they were all fix by a Software patch by them. So Definitely sony will get a Software fix to the Handsets for the overheating problem.